Refrigerators are a big investment, so put some thought into the buying process. With the average refrigerator costing somewhere between $400 and $1,200, it’s not a purchase to make in haste. In fact, buying a refrigerator requires knowledge about your personal food storage needs, size limitations, and unique feature requirements. 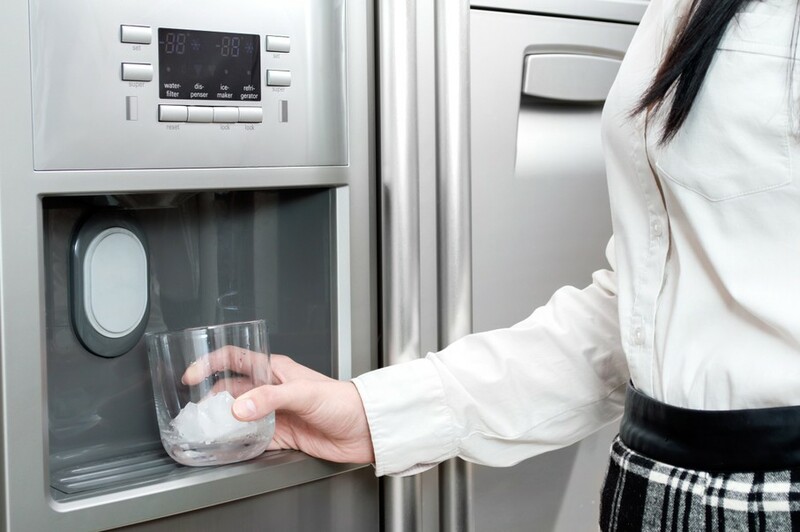 Do you need a built-in ice maker? 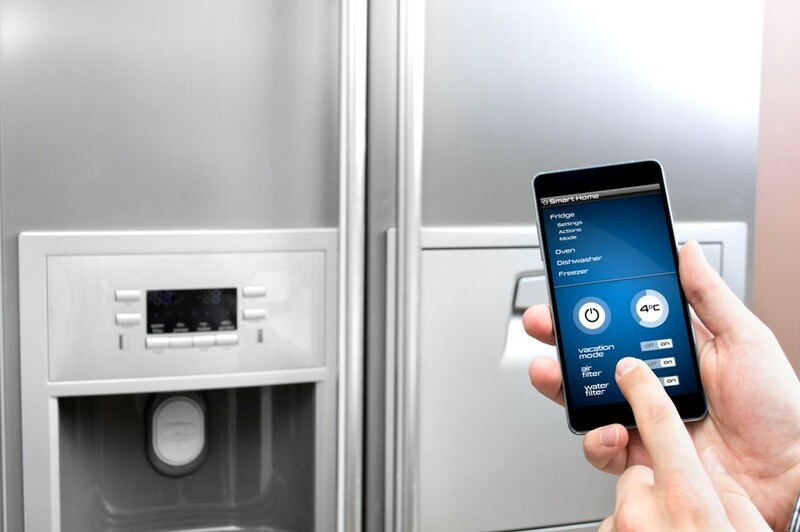 Are you eager to try out the latest “smart” fridge features? 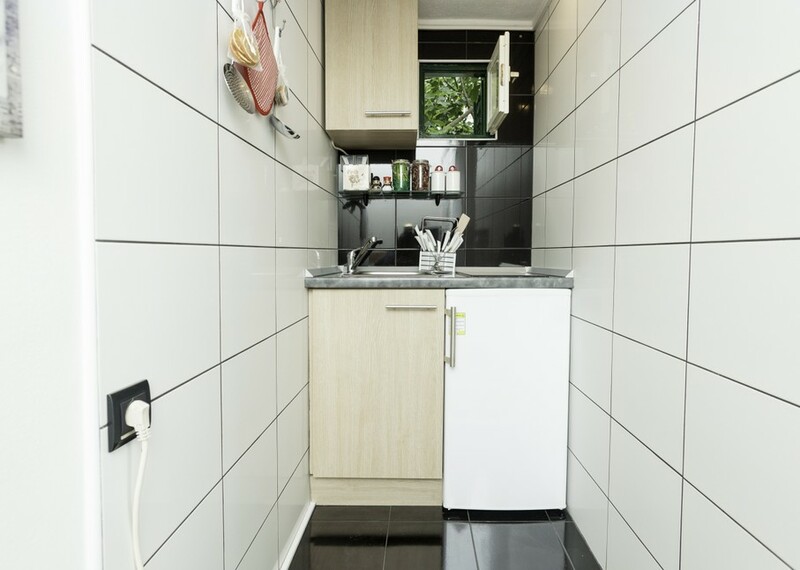 Does your fridge need to squeeze into a compact space? All of these are important questions to ask before you settle on a make and model. What is a refrigerator buying guide, you ask? It’s a blueprint to help you determine the features you need in your next fridge. Let’s get started! 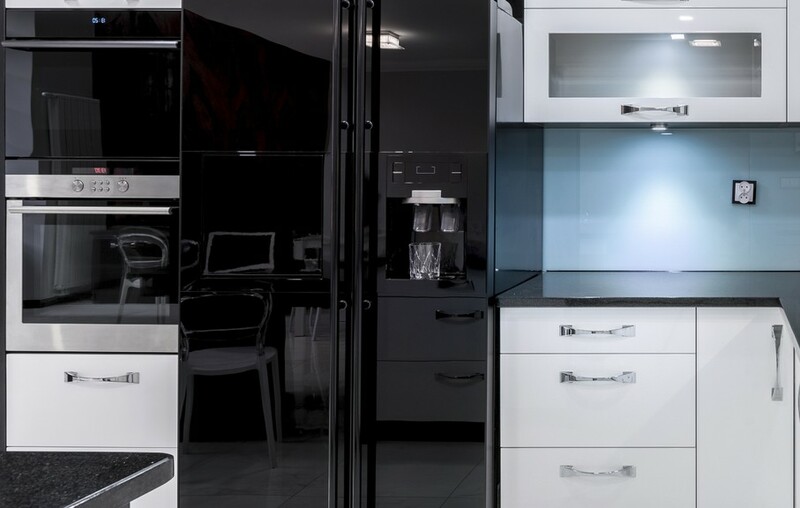 These are the four most common refrigerator designs you’ll find on the market today. A top-freezer above a refrigerator compartment is the most common type of refrigerator in the mid to low-price-points. Chances are, you grew up with a top-freezer. Thankfully, top-freezer refrigerators have evolved with the times. Today, you can find an array of this style refrigerator with the features you come to expect in a high-end model. Some of the best top freezer refrigerators average at or below $1,000! Refrigerators with bottom-freezers are considered a convenient layout for a majority of homeowners because it makes food in both spaces easy to reach. If you access your humidity-controlled fridge drawers multiple times per day, you may benefit from a bottom-freezer to avoid all that crouching! Bottom freezer refrigerator problems mirror their benefits. The elderly and those with handicaps may struggle to access the freezer with this layout. With a side-by-side fridge and freezer, both spaces are placed next to one another and include swing-out french doors. Side-by-side models allow convenience for reaching items in both areas. Similar to a side-by-side fridge, a column unit maintains the same rectangular shape. 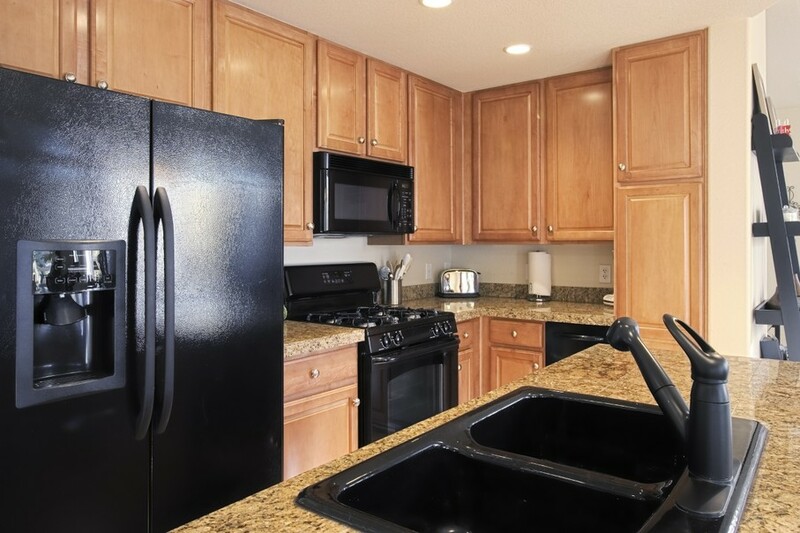 However, it column refrigerators serve only one purpose; they’re not a combination unit like the side-by-side design. The fridge and freezer are sold as separate columns. This design is considered the new “it” feature for modern kitchens. Once you select the design, it’s time to look at features. Keep in mind that refrigerators and refrigerator and freezer combinations come in a multitude of sizes, shapes, and with many different features. It’s absolutely possible to get exactly what you want, budget permitting. Refrigerators vary in capacity from 6 to 30+ cubic feet. On average, a family of four requires 10-12 cubic feet of refrigerator space and at least 4 cubic feet of freezer space. Size almost always correlates to capacity. 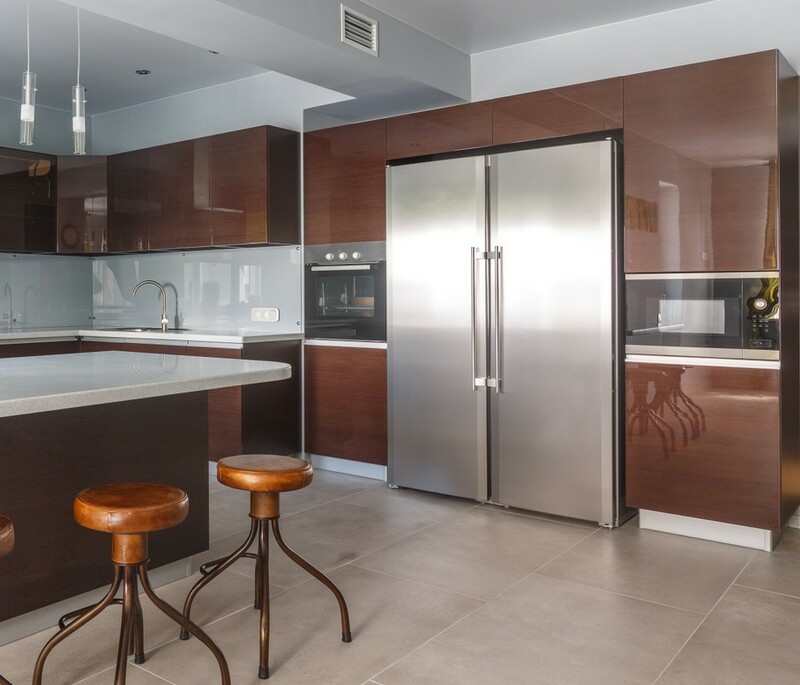 For a full-size, high-end refrigerator, most models are around 68 inches high, 36 inches wide, and 34 inches deep — give a take a few inches each way. If you’re short on space, a compact model with a smaller capacity may be just what you need. 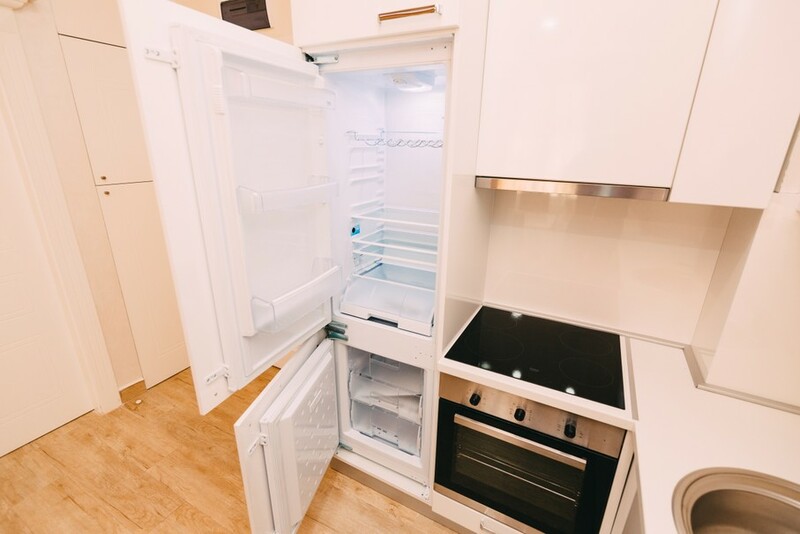 The smallest of the small fridges (around 5 cubic feet or less) are called “mini-fridges.” Full-size fridges with a more compact frame are often referred to as “apartment” fridges. If energy-efficiency is important to you, look for refrigerator models with an Energy Star rating. Keep in mind that smaller units consume less energy than larger ones. Nowadays, homeowners want options when it comes to the finish of their appliances-- which is why you’re bound to find a whole slew of colors and styles to choose from. Stainless steel remains a popular choice, but black stainless and other stainless colors (red, blue, grey) are new and gaining in popularity. Keep your eyes peeled for slate, which is also a favorite among trendsetting designers in 2018. Refrigerator models with water dispensers tend to cost more than ones without this handy feature. However, if you value the convenience of having filtered, cold water at your disposal, then it’s a good feature to consider. Aside from a still water dispenser, some refrigerators now offer a built-in CO2 dispenser as well. 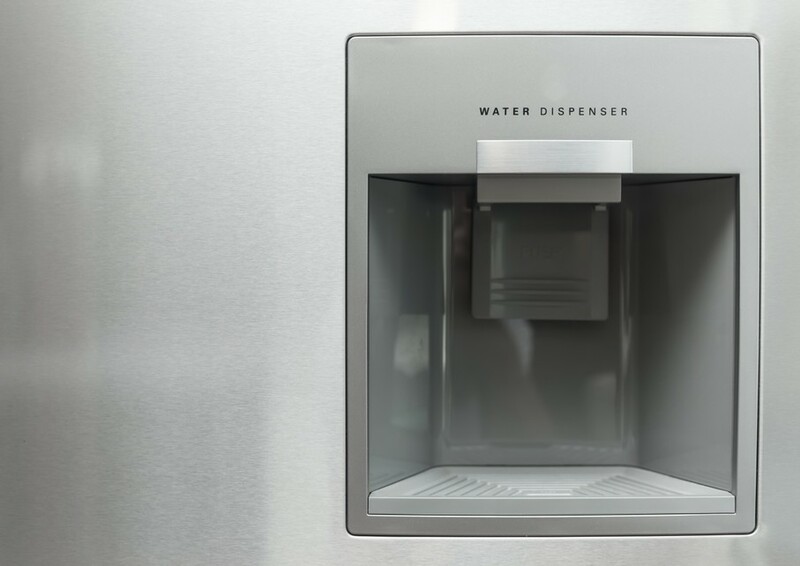 Ice makers use water from the same line as the water dispenser, freeze that water, and store in a receptacle. This comes standard in most modern fridge + freezer combinations. It’s a good time to be a consumer! Now that you have a good idea of the features you want in your new fridge, you may be wondering what refrigerator brand is the best? The answer to this question depends on the features you’re looking for. 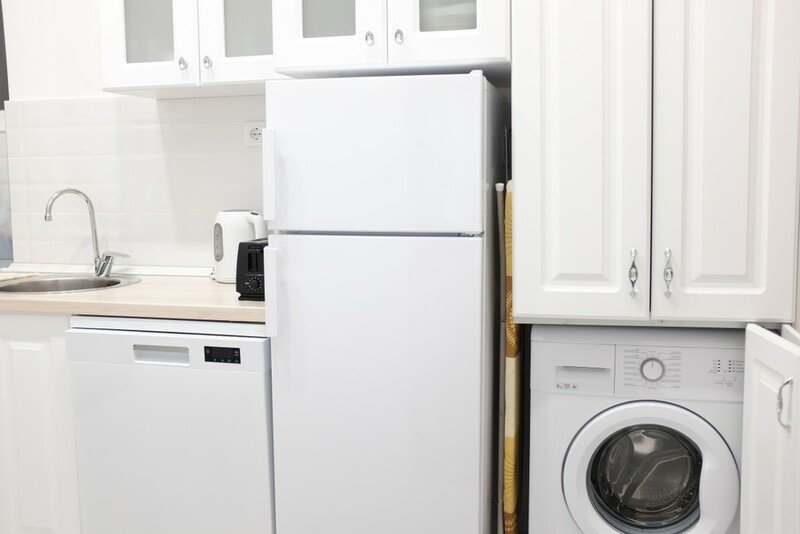 However, according to Consumer Reports, some of the most reliable refrigerator brands include Amanda, Kenmore, LG, Maytag, Samsung, and Whirlpool, whereas Frigidaire remains a refrigerator brand to avoid because of their relatively high repair rate (45%). Whether you choose a trendy column fridge with built-in fizzy water maker (yes, please!) or a simple top-freezer, the most important thing is that you have a refrigerator that keeps your food cold AND fits your budget! Now, it’s time to get shopping!